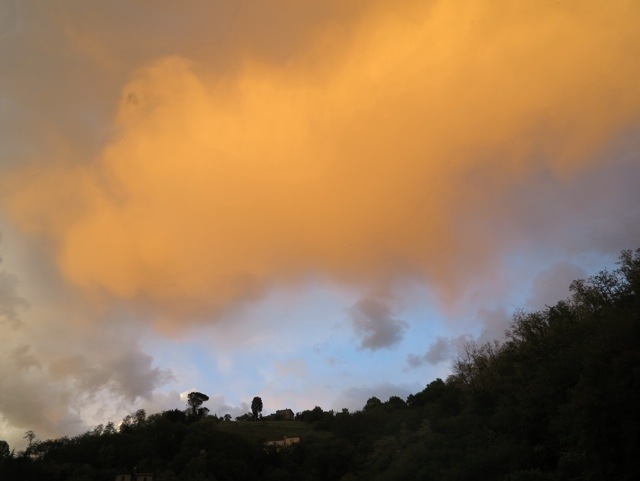 At sunset the other day we had a strange weather happening. A howling wind burst through the valley for about 10 minutes. 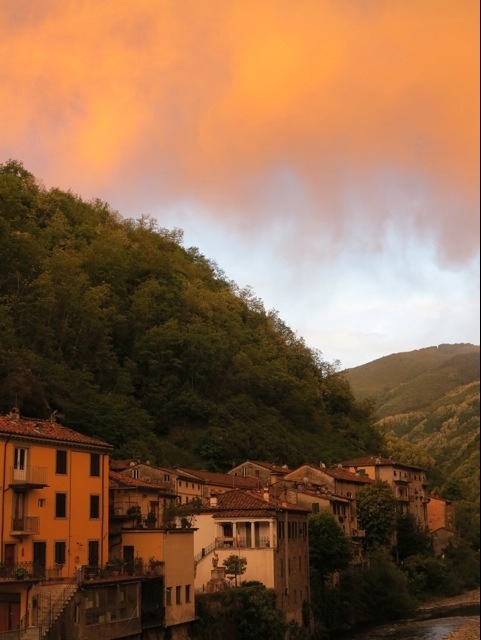 It didn’t bring much rain, but the sky was amazing and it briefly turned the village a strange yellow colour. Here is the sky from the other side of the river. Spring this year has been much better than last year when it seemed the rain would never stop. It is still cool in the mornings and evenings but the days are glorious…come on over. 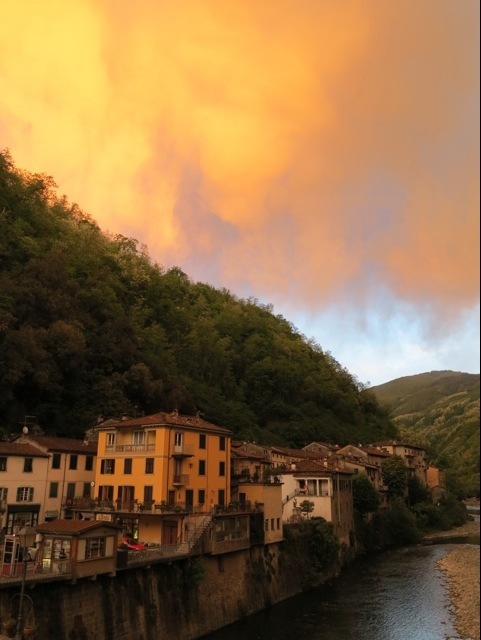 This entry was posted in seasons and tagged Bagni di Lucca, Italy, photography, Ponte a Serraglio, stormy sky, sunset, travel by Debra Kolkka. Bookmark the permalink. GORGEOUS! Glad it wasn’t severe weather to cause problems, but allowed some beautiful pictures. The episode only lasted 20 minutes, but it was very dramatic. It was a strange colour everywhere. Amazing photos! They are really stunning! Thanks, it was great to see. Thank you. The skies were amazing. Beautiful photos and gorgeous colours! 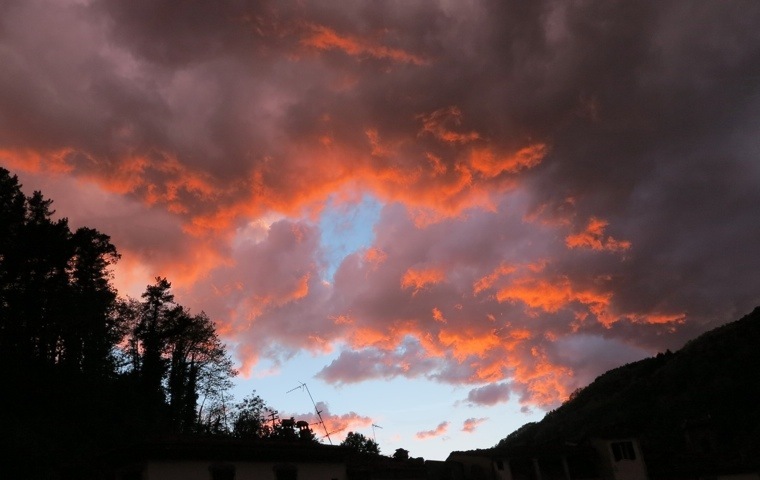 Beautiful skies….did you get any rain? Not much, it was mostly wind. Would love to take up that invitation Debra. Those skies look biblical!!!! Fantastic pictures. I dont think I’ve ever seen the skies over Ponte looking like that before. Was it the precursor to a storm/thunder? Reminds me of the pictures of a painter most renowned for his clouds and skies, quite a recent painter although he is dead now. Took his secrets to his grave, to much chagrin of his contemporaries. Forgotten his name. Wow, great photos!! 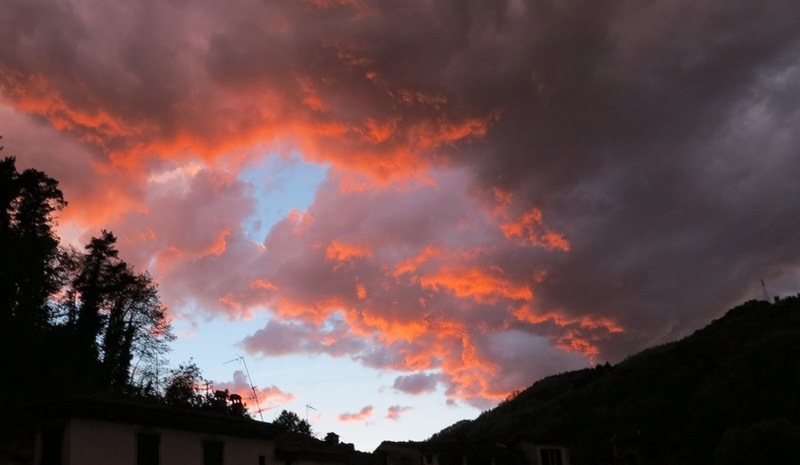 There have been some wonderfully dramatic skies over the last couple of weeks!